So I have spent a couple of days in Berlin. Due to its sad history the feeling I get in Berlin is that of a broken city. The former central parts that has been revitalized feels artificial. I am looking at you, Potsdamer Platz. The city seems to have many centers rather than one. The city isn’t one yet. But it is working hard to get there. Much construction. But also lost areas that no one will care for in a very long time. It is a city of progress and the future it belongs to. Contrary to cities like Paris and Stockholm it can still shape its destiny. This is probably why it has such traction among startups. So I like many things about Berlin and since it is election times in Sweden I give you a list of things that we should pick up back in Stockholm. Most of it concerning public transportation. public transportation can be cheap. A one day ticket is €6.70 - a bit more than a long distance single ticket in Stockholm. public transportation does not need to have barriers. I guess this means that more people travel for free but on other hand it feels very inclusive. Like public transportation is part of the city. there can be fika in the subway. it is possible to bring bicycles in subway wagons smaller than stockholm ones. there can be enough public transportation. Not once was a train overfull despite traveling during rush hours. 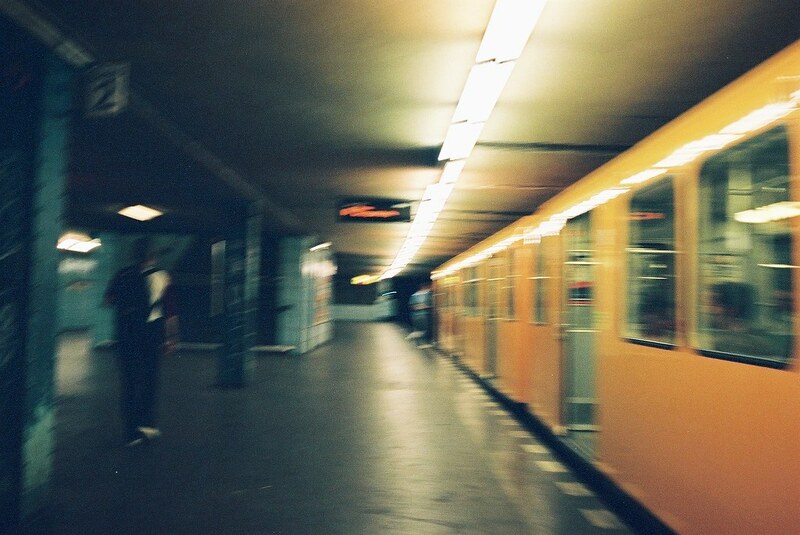 I’ll leave you with this nice shot of the berliner subway by Carst van der Molen.